Redeemer was a small congregation looking to move away from a Christian Seder Meal practice. First Lutheran was a large congregation looking to add a shared meal to its traditional Maundy Thursday liturgy. Both congregations found rich connections and renewal in a dinner church model. Participants will receive the original and adapted Maundy Thursday Meal liturgies, insights into the creative process, and time to explore how to adapt the liturgy to their context. The Rev. 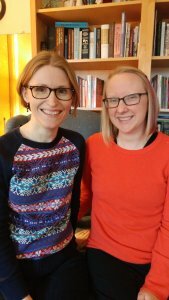 Melissa Bills serves on the pastoral staff of First Lutheran Church in Decorah, Iowa and is a graduate of St. Olaf College and Princeton Theological Seminary. Rev. Bills specializes in liturgical writing. She is a frequent contributor to the Sundays and Seasons worship planning resource and currently serves as a writer-in-residence for Fidelia, the online magazine of Young Clergy Women International. The Rev. Anne Edison-Albright is a College Pastor at Luther College in Decorah, Iowa and is a graduate of Michigan State University and Yale Divinity School. She has contributed to Sundays and Seasons, Sundays and Seasons: Preaching, Whirl, Here We Stand, and Augsburg Fortress Lenten devotionals. Rev. 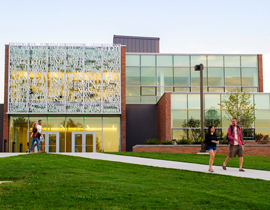 Edison-Albright is working with a team from Luther College on a Calvin Institute of Christian Worship grant project. Rev. Bills and Rev. Edison-Albright enjoy collaborating on writing projects and creative liturgical ventures: recent collaboration includes Families Celebrate Advent and Christmas, a series of creative activities for families during the holiday seasons, and A Place for You Interactive Edition, a communion education resource building on the work of author Daniel Erlander. This presentation will explore critical dimensions of music in intercultural worship: what does it sound like; who is leading it; how is it prepared; how is it evaluated? Grounded in pastoral practice in the diverse terrain a range of communities in the United States as well as in guiding documents on multicultural worship, we will discuss how far we have come and how far we have to go to embrace the rich diversity of the contemporary landscape in our sung prayer. Tony Alonso is a theologian and composer whose work is animated by the diverse needs of the contemporary church. His music appears in compilations and hymnals across Christian denominations throughout the world. In 2015, this work was recognized with an invitation to compose the responsorial psalm for the first Mass Pope Francis celebrated in the United States. Tony’s scholarly work lies at the intersection of liturgical theology, ecclesiology, and cultural studies. He has authored several essays and articles in journals such as Modern Theology, Worship, and Liturgy. 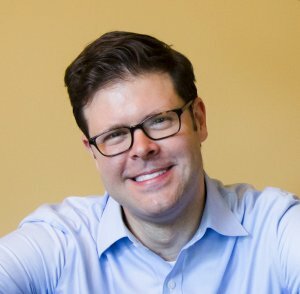 Tony is Assistant Professor of Theology and Culture at Candler School of Theology at Emory University where he also serves as Director of Catholic Studies. In this workshop, John August Swanson will discuss how he develops drawings, and how these images start to seem more connected to broader themes as they progress. He will do a survey of his artworks that show themes of community, ritual, sharing, Eucharist, thanksgiving, hunger, and the cooperation of people when they plant and harvest, and prepare the foods for the meals. John August Swanson, born in 1938 in Los Angeles, began studies in a lettering class with Corita Kent (Sr. Mary Corita) at Immaculate Hear College (’67-’68). He continued the journey as an independent printmaker of limited edition serigraphs and other printmaking techniques. He also paints in watercolor, acrylic, and mixed media. Swanson’s artwork is represented in the permanent collections of museums, including: The Smithsonian Institution, Harvard University’s Fogg Museum, the Tate Gallery, the Victoria and Albert Museum, the Bibliotheque Nationale de Paris, and the Vatican Museum’s Collection of Modern Religious Art. Swanson was awarded honorary doctorates by California Lutheran University, Thousand Oaks, and Loras College in Dubuque, Iowa. 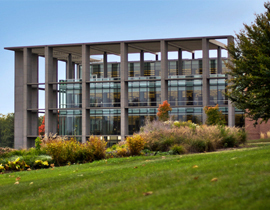 His archives are held by Pitts Theology Library at Emory University, and by Luther Seminary, St. Paul, Minnesota. Eucharist celebration is at the heart of our ritual life. Central to the Christian journey is the altar-table, the place of the meal and the place of sacrifice. Along with the Place for Baptism and the Place for the Word, the altar surrounded by the assembly is one of the three primary ritual centers. In our worship spaces we visually express the Liturgy of the Eucharist in the design and placement of our altars. This workshop focuses on the altar, its design and context in the worship space, its history and symbolic content. This workshop is co-presented by Carol Frenning and Paul Barribeau. They bring an interdisciplinary perspective to focus on the altar. Liturgical Architect Paul Barribeau is senior project manager of the Religious Studio at Groth Design Group, an architectural practice specializing in religious architecture and planning. 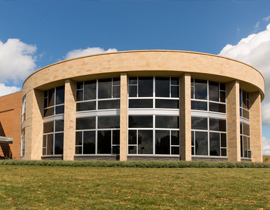 Groth Design Group is located in Cedarburg, Wisconsin and serves religious facilities nationally. Mr. Barribeau has a Bachelor’s Degree in Classical Languages from Luther College in Decorah, Iowa; a Masters of Divinity from Luther Seminary, St. Paul, Minnesota; and a Masters of Architecture from the School of Architecture and Urban Planning at the University of Wisconsin-Milwaukee. 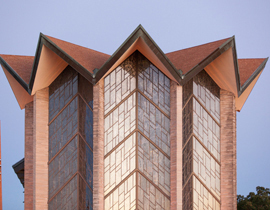 Prior to his practice of architecture, Mr. Barribeau was an ordained Lutheran pastor. Mr. Barribeau is in his 27th year of practice of architecture exclusively with religious clients. He is a member of the American Institute of Architects and the National Council of Architectural Registration Boards. Paul is an allied member of the Association of Consultants for Liturgical Space. Carol Frenning is a liturgical design consultant who works with congregations throughout the country as they build or renovate their worship spaces. Trained as an art historian, her academic work is in the area of American religious architecture. She taught Sacred Architecture at the University of Saint Thomas and lectures at the University of Minnesota College of Architecture and Landscape Architecture. A graduate of the first class of the Institute for Liturgical Consultants at the Catholic Theological Union in Chicago, Carol serves as a founder and president for the Association of Consultants for Liturgical Space. She served as chair of the national advisory board for IFRAA-AIA and on the board of Faith and Form. She was on the national planning board for the Form/Reform conferences. She served as the convener for the Visual Arts and the Liturgy Seminar of the North American Academy of Liturgy and past chair of the Society of Architectural Historians Minnesota and past chair of the Art and Environment Committee for the Archdiocese of St. Paul and Minneapolis. She is currently working on the Cathedral Shrine of the Virgin of Guadalupe in Dallas. The focus will be the singing of a selection of anthems, encompassing a range of voicings and difficulty. Eucharistic themes present in the repertoire will provide opportunity for discussion. Participants will be welcome to share titles of choral music that have worked well for them. Bruce Bengtson recently retired after 40 years as Director of Music at Luther Memorial Church in Madison, Wisconsin. Beginning organ study in Salem, Oregon at the age of 11, Bengtson went on to earn degrees in organ performance at Southern Methodist University (undergraduate) and Valparaiso University (graduate), placing first in one state and two national competitions during his college years. Besides concerts in the United States, Mr. Bengtson has been featured in concerts in Mexico, Canada, and Europe. He as played services and concerts, and presented workshops, for national conferences of the Organ Historical Society, Association of Lutheran Church Musicians, Choristers Guild and the Hymn Society of the U.S. and Canada. What meanings might the Eucharist have to someone in the grip of an eating disorder? After years of wrestling with food addition, Bullitt-Jonas had a powerful experience of Eucharist that set her on the road to recovery, a story told in her memoir, Holy Hunger: A Woman’s Journey from Food Addiction to Spiritual Fulfillment (Vintage paperback). This workshop will explore how practicing the Eucharist can heal our relationship with our bodies and the body of Earth. The Rev. 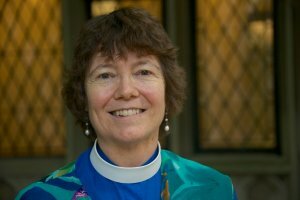 Dr. Margaret Bullitt-Jonas serves as Missioner for Creation Care in Episcopal Diocese of Western Massachusetts and Massachusetts Conference, United Church of Christ. An Episcopal priest and climate activist, she leads retreats in the U.S. and Canada on spiritual resilience and resistance. Her books include Holy Hunger; Christ’s Passion, Our Passions; and Joy of Heaven, To Earth Come Down. Forthcoming (2020): Rooted and Rising: Voices of Courage in a Time of Climate Crisis, co-edited with Leah Schade (Rowan & Littlefield). Her degrees: B.A. (Russian Literature) from Stanford; M.A. and Ph.D. (Comparative Literature) from Harvard; M.Div. from Episcopal Divinity School. Her Website: RevivingCreation.org. As worship planners, weekly we are called upon to put words in the mouths of our worshipping communities. Whether they are sung only once or sung a hundred times during our lives, the hymns we sing shape both our faith and our theology. This workshop will introduce some new(er) hymns appropriate for singing at the offering/setting the table, during communion, and at the sending and will examine how those hymns might shape and form us. Cheryl Dieter received a bachelor’s degree in theology and music from Valparaiso University and a master’s degree in liturgical studies from the University of Notre Dame. 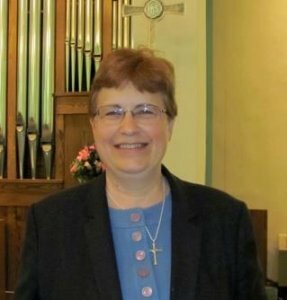 In 2017 she retired after serving for over 27 years as (part-time) minister of worship and music at Trinity Lutheran Church in Valparaiso. From 2001-2006 she coordinated the ELCA’s Renewing Worship project. Since 2007 she has been business manager for the Association of Lutheran Church Musicians (ALCM) and is currently working on a series of articles for ALCM’s journal CrossAccent that lift up the things we Lutherans in North America hold in common. Eucharistic traditions of the East have the capacity to address the brokenness of the world by drawing from the repository of asceticism and creating a worship environment of identity formation that calls all participants to be servants of God. This workshop examines the euchology and ritual practice of the Eucharist in the East to show how regular participation in the Eucharist encourages faithful to adopt a Christ-like identity of utter humility in preparing to receive the gift of Christ in Communion. The regular process of liturgical participation emphasizes a liturgical identity of servant of God given to all, from the highest ranking bishop to the youngest infant. The assembly’s adoption of this liturgical identity of servanthood has the capacity to address the brokenness of the world while also proclaiming the glory of God. The workshop includes criticism of the fissures between liturgical theology and practice in the Churches of the East, and concludes with suggestions on how to restore a symbiosis of theology and practice that enhances the capacity of the liturgy to initiate all participants in an identity of servanthood. 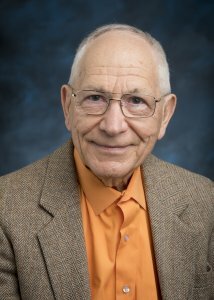 Nicholas Denysenko is Emil & Elfrieda Jochum Professor and Chair at Valparaiso University. 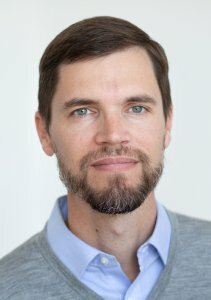 A graduate of St. Vladimir’s Orthodox Theological Seminary (M.Div., 2000) and The Catholic University of America (Ph.D., 2008), Denysenko specializes in liturgical theology, Orthodoxy, and ecumenism. His books include The Blessing of Waters and Epiphany (Ashgate, 2012), Chrismation: A Primer for Catholics (Liturgical Press, 2014), and Theology and Form: Contemporary Orthodox Architecture in America and Theology (University of Notre Dame Press, 2017). In his research, Denysenko examines liturgical history, ritual studies, and pastoral theology. He is a deacon of the Orthodox Church in America since 2003. From ‘Leaning on the Everlasting Arms” to “Lift Every Voice and Sing,” we will explore ways to lead the different styles of gospel music from both the organ and piano that give support and vitality to the assembly. Dan Fenn is Director of Worship and the Arts at Lord of Life Lutheran Church in The Woodlands, Texas (Houston area). He was born and raised in rural, south Mississippi, surrounded by gospel music of many traditions. Dan has degrees in organ performance from Mississippi College (BM) and the University of Houston (MM) as well as a Master of Sacred Music degree from Luther Seminary. He has previously served at St. John’s Lutheran Church in Northfield, MN and Grace Presbyterian Church in Houston. The passion narrative of Luke begins after sundown on the 6th day, the night in which Jesus was betrayed. Only Luke includes both the institution narrative and a farewell discourse that contains the most sublime pastoral and eucharistic theology in the Gospels. This session will reflect on Jesus’ final teaching to his disciples and its implications for eucharistic theology today. Arthur A. 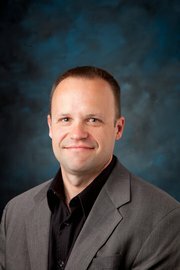 Just Jr. is Chairman and Professor of Exegetical Theology at Concordia Theological Seminary, Fort Wayne. He received his S.T.M. from Yale Divinity School, and his Ph.D. from the University of Durham. In January of 2018 he began a two-year commitment as a half-time career missionary, serving LCMS International Missions as Associate Executive Director of Regional Operations – Latin America, the Caribbean, and Spain. He is the author of The Ongoing Feast, the CPH Commentary on Luke, the Lukan volume of the Ancient Christian Commentary on Scripture, and Heaven on Earth: The Gifts of Christ in the Divine Service. What happens when you welcome the very young to the Lord’s Table? How are they impacted, shaped, formed by the Eucharist? And how is the gathered community impacted by their inclusion? There is much variation in congregational practice around the inclusion of children in Holy Communion. This workshop is an opportunity for participants to consider these questions from the perspective of the spiritual development of our children and the vitality of our faith communities. The Rev. Katie Kerrigan received her M.A. in History from the University of Michigan and her M.Div. from Trinity Lutheran Seminary in Columbus, Ohio. Following several years in small town and rural parish ministry, she currently serves as the Director for Evangelical Mission in the Southern Ohio Synod of the ELCA, encouraging congregations in the areas of mission, evangelism, stewardship. She is particularly interested in the revitalization of congregations for the 21st century through the building of stronger relationships with the Triune God, with one another as a faith community, and with their neighbors around them. This is the feast of victory for our God? Lamb of God you take away the sin of the World? There are few places in congregational ministry where newcomers (and sometimes even oldcomers!) are invited into conversation about these words and how they might shape our baptismal lives. The Adult Catechumenate is a process of forming faith through intentional small group spaces and rites. Many have experienced a lectionary-based model of catechumenate sessions. In this workshop, however, we’ll model what small-group catechumenate sessions might look like using the liturgy as the basis of conversation. Each workshop session will explore a specific piece of the Eucharistic liturgy. Revs. Bekki and Marcus Lohrmann have worked envisioning, creating, carrying out, and leading catechumenate processes in multiple and varied contexts. 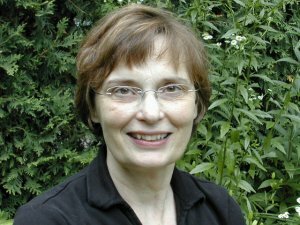 A frequent contributor to Sundays and Seasons Preaching (Augsburg Fortress), Bekki has most recently published, “Rite for Preparing a Body for Burial,” in In Sure and Certain Hope (Augsburg Fortress, 2017). Marcus’ graduate work at the University of Chicago Divinity School culminated in academic research of the Adult Catechumenate process, most specifically on how it relates to and presents a transformational response to secularization and denominational decline. 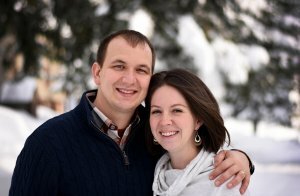 They currently reside in Manson, WA with their newborn son Elijah as they transition into new calls this spring. Trinity United Church of Christ is an urban, social justice-centered community of faith located on the Southside of Chicago, Illinois. Troubled by socio-economic disparities, violence and poor health outcomes, this church made the decision to address these issues by utilizing the multi-faceted power of food as an agent of transformation and liberation. This workshop will explore the intersection of faith, food, health, equity and community change as well as the process of cultivating a culture of holistic health within a unique spiritual context. Monica Moss is a graduate of Spelman College and Teachers College, Columbia University. At Trinity United Church of Christ in Chicago, where her husband, the Rev. Dr. Otis Moss, III, is Senior Pastor, Monica teaches on the healing and transformational power of food and health. She believes urban communities of faith are ideally suited to promote the connection between food, faith, community building and well-being. She advocates for equitable access to affordable, healthy food and is passionate about bringing people together in celebrations of faith, family and food through communal meals and storytelling. We feast on bread broken and shared, and we also feast on scriptural revelation broken open to hear in music and to see in art. Liturgy appeals to all of our senses. When it remains relegated to the intellect, it does soak through all the way to the soul. One of the great Lutheran gifts is music which can rattle us awake, but how can we break open the word using image and design as worship and in worship, as revelation, as prayer, as catechesis, as delight? Gertrud Mueller Nelson was born in Germany, raised in Minnesota, attended St. Catherine University, studied printmaking in Cologne, learned and taught Montessori education and attended the C. G. Jung Institute in Zurich. She is a liturgical artist and designer, writes and lectures on the Liturgical Year, on ceremony and ritual, and on myth and psychology. She is know especially for her liturgical Clip-Art for Feast and Seasons, and for her books: To Dance with God and Here All Dwell Free. 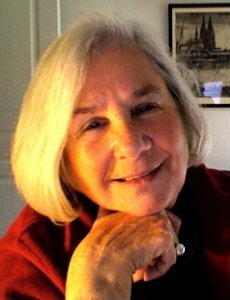 She has written and/or illustrated over a dozen books and many articles on parish celebration, liturgy and the sacred psychology of fairy tales. In every parish, there are theological and practical histories, traditions, stories and long-held beliefs that inform the distribution and reception of Holy Communion. In this workshop, the group will engage a panel of peers in discussing how to navigate and facilitate parish conversation, growth and change when it comes to matters related to Holy Communion. Questions around appropriate preparation, age for reception, common cup/small cups, bread or hosts, kneeling or standing, determining who receives and the sending of the sacrament to the sick and homebound will provide a starting points for the group’s consideration. Susan Nachtigal is currently on leave from call and pondering what may be next for her in serving Christ’s church. Early on, she served as a deaconess in Paradise Valley, Arizona, focusing on education, youth and outreach ministries. Ordained in 1987, she has served pastorates in large parishes on the west and east coasts of the United States, in Sacramento, California and Worcester, Massachusetts, respectively. 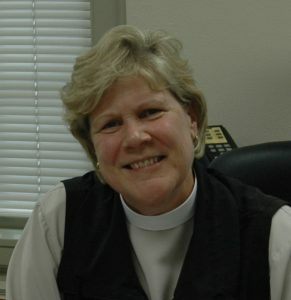 With that, she served on the core faculty of Pacific Lutheran Theological Seminary in Berkeley, California, teaching Christian Education and Christian Spirituality, while also serving as dean of The Chapel of the Cross. In 2014, she received the PLTS Award for Distinguished Service as a Parish Pastor. Over the years, she has written for preaching journals and offered leadership at various retreats and conferences. The Word of God, spoken in proclamation and enacted in the sacraments, calls and gathers us into the body of Christ, the body that nourishes us, forms us anew, and over time makes all our tables his table. What sort of preaching inspires such faith and hospitality without trivializing the Lord’s table? Dr. Frederick Niedner is Senior Research Professor in Theology at Valparaiso University. He writes for numerous publications that support the ministry of preaching, and for nearly 25 years his fortnightly columns on religion and culture have appeared in the Chicago Tribune’s northwest Indiana edition, and the Post-Tribune. The moving word in poetry and literature and the moving image in film and television have the capacity to portray the elemental things of creation with a depth and intensity that approaches what we might call a “sacramental” aesthetic. In this workshop, we will look and listen to various examples of word and image to see (and hear and taste) how they can enrich our understandings not only of what happens in a eucharistic moment, but of how God makes grace of the things of earth. Travis Scholl is managing editor of theological publications at Concordia Seminary, St. Louis, where he also teaches writing. A graduate of Valparaiso University and Yale Divinity School, he recently completed a Ph.D. in the creative writing program at the University of Missouri–Columbia, under the poet Scott Cairns. The author of the spiritual memoir Walking the Labyrinth, his most recent poems and essays have appeared in Fourth Genre, Saint Katherine Review, Sehnsucht, and Assay. Leading the community into the actions of eating and drinking at Christ’s table are words around that table. We will survey the revival of eucharistic praying over the past several generations, explore recent developments in Lutheran and ecumenical circles, and consider how what we say at the table also forms us. 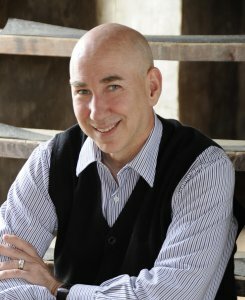 Martin A. Seltz is vice president and publisher for 1517 Media’s Augsburg Fortress imprint, which focuses on worship, music, and other resources primarily for Lutheran congregations, and executive director for ELCA relations. His responsibilities since 1994 have included guiding the publication of the Evangelical Lutheran Worship resource family. 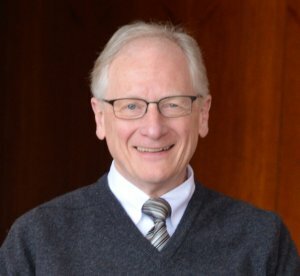 He has served in leadership roles with the North American Academy of Liturgy, the Consultation on Common Texts, and the Institute of Liturgical Studies, including fifteen years on the Institute’s Advisory Council. A pastor in the ELCA, he has served congregations in Michigan and in Minnesota, where he is currently one of the cantors at Christ Church Lutheran in Minneapolis. Participants will consider the ethical dimension of gestures and actions made by the worshipping assembly during the Eucharist. Why? Recent kinesic and neurological studies suggest that gesture and movement hold considerable power in forming a faith committed to justice and peace. This discussion of eucharist gestures will open new possibilities for preaching and teaching. Samuel Torvend is senior church historian in the Department of Religion at Pacific Lutheran University in Tacoma, Washington. He holds the Ph.D. from Saint Louis University. 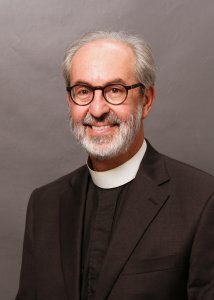 He specializes in the social ethical dimensions of sacramental practice as witnessed in his Flowing Water, Uncommon Birth: Christian Baptism in a Post-Christian Culture (Augsburg), Still Hungry at the Feast: Eucharistic Justice in the Midst of Affliction (Liturgical Press), and Luther and the Hungry Poor: Gathered Fragments (Fortress and Wipf & Stock). Fr. 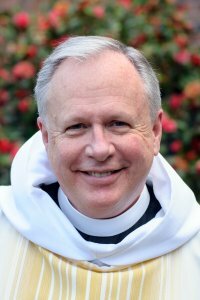 Torvend is a priest of the Episcopal Diocese of Olympia and serves as associate priest for adult formation at Christ Church Parish Tacoma. Every congregation has a set of “core hymns” – hymns that are sung repeatedly and are well known. In this workshop we will discuss how to identify this core, how to intentionally shape it, and why it is important. 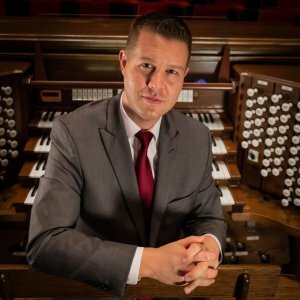 Brian Wentzel is an organist, composer, singer, and writer who is currently serving as Director of Music at First Lutheran Church, Lorain, Ohio. This semester he is also Visiting Assistant Professor of Organ at Oberlin Conservatory where he teaches the Sacred Music Skills class. 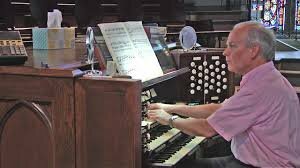 Brian’s degrees are from Northwestern University (organ performance and mathematics) and Luther Seminary (Master of Sacred Music) and he holds the Fellowship certificate from the American Guild of Organists. From the Eucharist we are sent out in peace to “serve the Lord.” How does our gathering, eating and drinking shape our service in the world? How does our service in the world influence how we gather at the table of thanksgiving? Our answers will be informed by exploring the historical roles of deacons as table servers, the ministries of deaconess and deacons around the world today, and the service of all the people of God where they live and work. 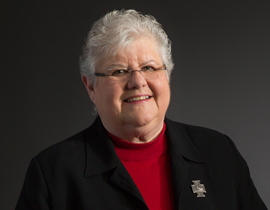 E. Louise Williams is Executive Director Emeritus of the Lutheran Diaconal Association. She is a past president of DIAKONIA World Federation, an ecumenical, global association of diaconates. 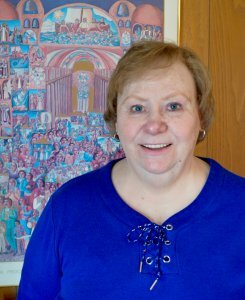 In retirement, she teaches Theology of Diaconal Ministry online at VU, meets with several people for spiritual direction, leads retreats, preaches, writes and speaks for church-related groups, especially in the areas of spirituality and diakonia. She has served on the ELCA group developing recommendations regarding the entrance rite for the new roster of Ministers of Word and Service (deacons). Her honors include The Christus Rex Award from the Institute for Liturgical Studies. How can we use the arts to open our spaces to the community, to invite guests into community, to see each other, the world and themselves with fresh eyes? Coventry Cathedral has been growing its arts program, especially through their “Plumbline” Centenary festival in 2018, and is now preparing for its part in Coventry as UK City of Culture 2021. John will explore vision and aspiration, practicalities and opportunities. 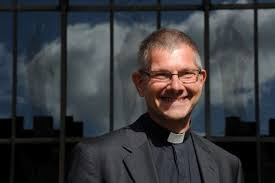 John is Dean of Coventry, carrying responsibility for the overall leadership of the Cathedral’s ministry both locally and internationally. Coventry Cathedral is well known for its pioneering work in reconciliation, following its destruction in November 1940. The new Cathedral, consecrated in 1962, is an outstanding example of twentieth century art and architecture, combining the medieval ruins and new building in a narrative journey from destruction to the hope of new life. John has a background in Practical Theology, an M. Phil in the atonement theology of Tillich and Rahner, and is passionate about weaving the threads of reconciliation and the arts into a contemporary witness which is offered to all, regardless of faith or background.